Concept guidelines/message base: Express the regional perspective along with the companies clean outlook towards the environment. We must be careful not to segregate the selling zone to just “Canada” (Bermuda is included in the companies territory). The Coast should be reflected with an element that portrays the geographic location of the companies reach. It is, of course, important to visually reflect the fact that the company offers “laundry” solutions/systems. 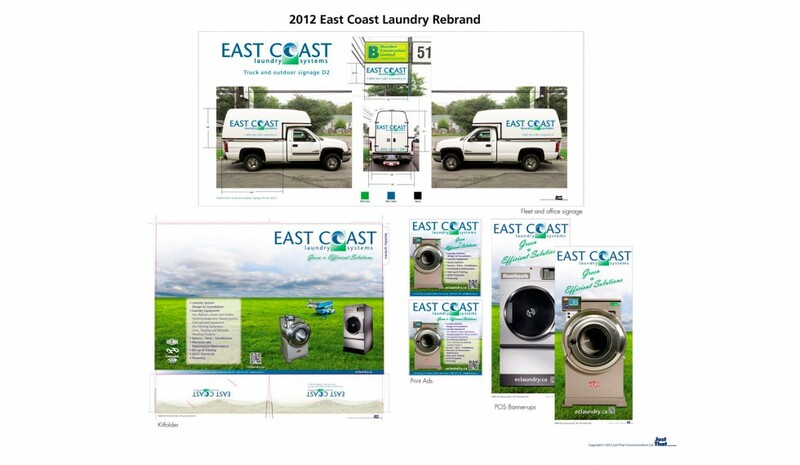 Keywords/phrases: Previous incorporation name (East Coast Laundry Equipment). East Coast reflects regional reach. 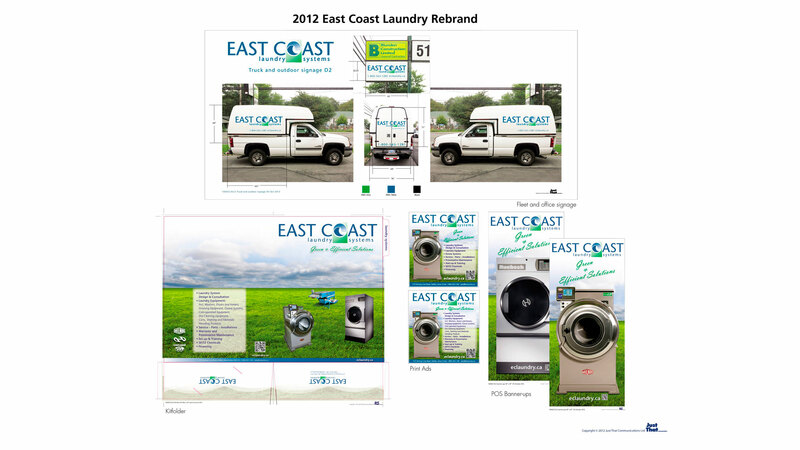 Laundry reflects the type of equipment sold and serviced. 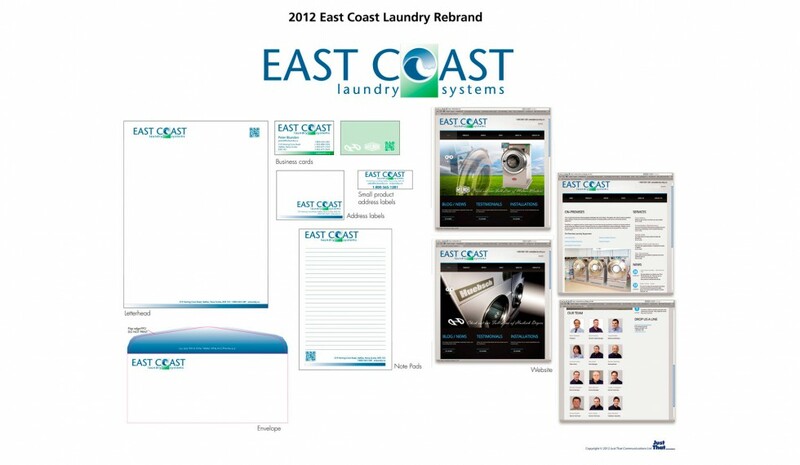 Systems implies solutions encompassing all aspects of laundry equipment used. Purity of water, East Coast clarity, East Coast Environment, tough and clean. Up to date solutions and service, Modern, sophisticated, state of the art. All elements presented on white (imparts purity and simplicity, pristine and lightweight). Font: Clean precise, classic sans serif, dependable, masculine yet not overpowering, round characteristics (not oval lettering) expressing “Global” (implies earth, green, clean), Light and airy yet has substance.